October but still sunny and warm. 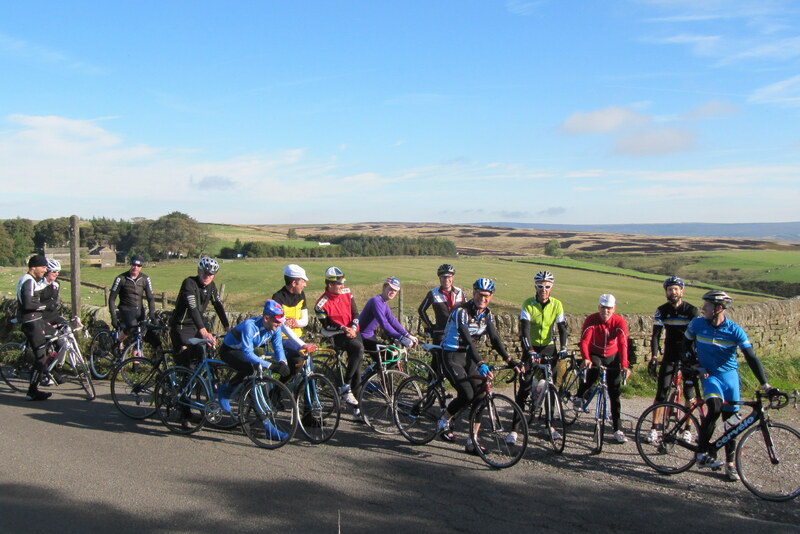 12 riders turned up for the Sunday club run to the Monsal hill climb. Dave had a puncture but we still managed to leave more or less on time and once over the initial confusion about what way to go headed up over Ringinglow and down Jaggers. Picked up 3 more before Hathersage so by the time we were climbing Abney we were 15 strong. Four of us went straight over Longstone Edge arriving for the start of the race while the other 11 took an extra loop through Miller’s Dale. 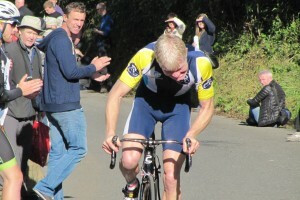 Excellent performances by Rutland members at the hill climb. Liz kicked it off in style with a great ride, she’s getting faster every year. Darren then finished it off with a stunning ride, knocking all the other vets for 6 to win the vets prize. If you want to what you need to do to win a hill climb just check out the grimacing. This is seriously scary. If he’d been about during the Battle of Stalingrad it would have been over in a day. Both sides would have given in. ” …up over Bretton…” now that does make me homesick. 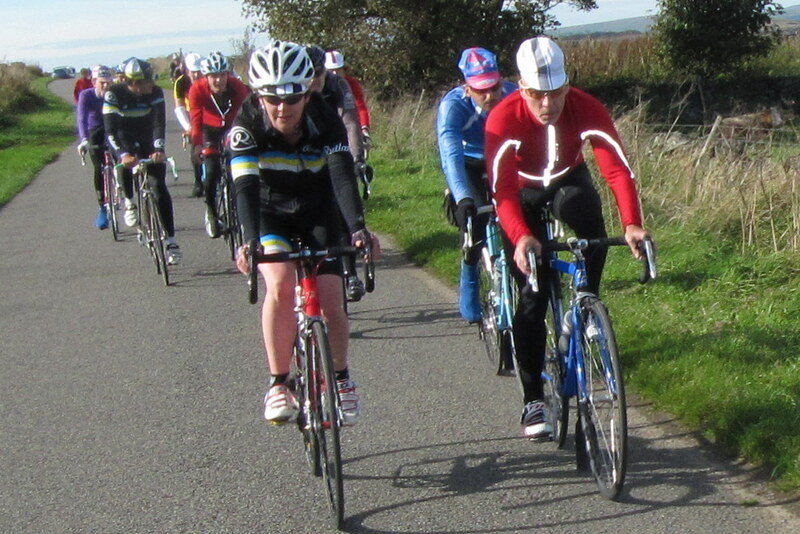 The climb up to Bretton was such a regular training ride for me. 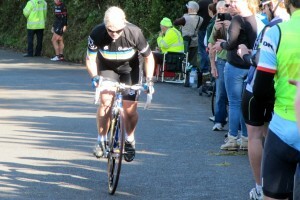 Congrats to Darren and Liz and all the Rutlers who took part at Monsal.